1. Roughly 90% of its native speakers live in Latin America, about 5% in Europe, and about 5% in Africa. 2. The weather gets all screwy when he argues with his wife Titania. 3. Given the title Warden of the Royal Mint, which was intended as a sinecure, he leapt into the role with dazzling fervor, crushing widespread counterfeiting and helping to stabilize British currency. Oh, and he formulated the basic laws of physics and calculus. 4. So who is this here painting by? 6. Before and during the U.S. Civil War, there was ongoing gang violence to determine whether it would be a "slave state" or a "free state." 7. He is said to have met Elijah and Moses on a mountain. 8. It's the autobiography of a Roman Emporer, except written in 1934 by Robert Graves. 9. It was that family that held the thrones of Spain, Austria, and the Holy Roman Empire for all those years. 10. What country is this? 9. Is this a reference to the Hessian Empire? Hesse? 4. It's probably not Matisse, but that's all I've got. 7. I'm thinking it's either Jesus or John the Baptist. But you've been reading Jeremiah, too, lately. hmmm. Oh, wait, maybe you're being sneaky. Maybe it's JHVH. (aka IHVH aka Yod Heh Vau Heh, aka Yahweh, aka Jehovah aka ---- aka Yahooie!) Yeah, let's go with the wrathful deity. 1. I suspect that it's Portugese, the Lusosphere (thanks for sharing that word with me, by the way) being somewhat biases towards the Brazillians. 2. The King of the Fairies, Oberon himself. 3. Can only be Sir Isaac Newton. Well, it could be someone else, but it's not. 4. 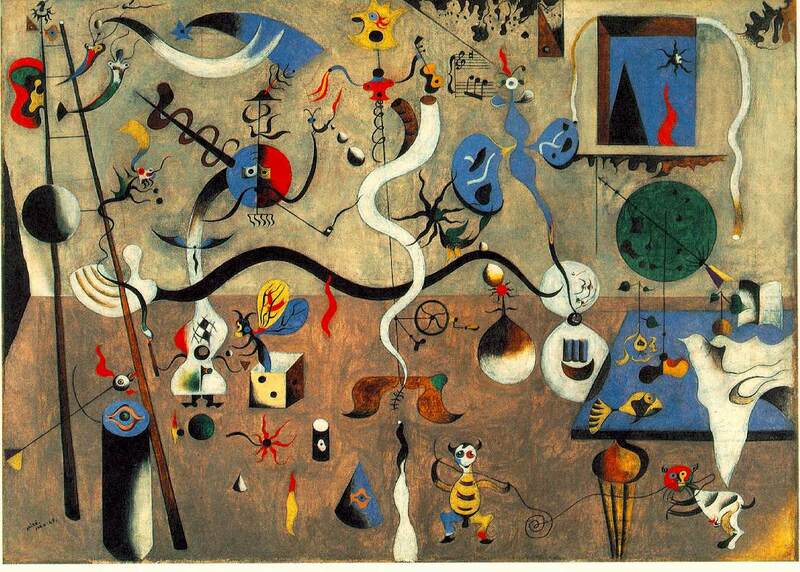 Joan Miro! Finally, my years of teaching my self about art in order to get ahead in quizzes pays off! But what's this about there only being 10 left? 5. 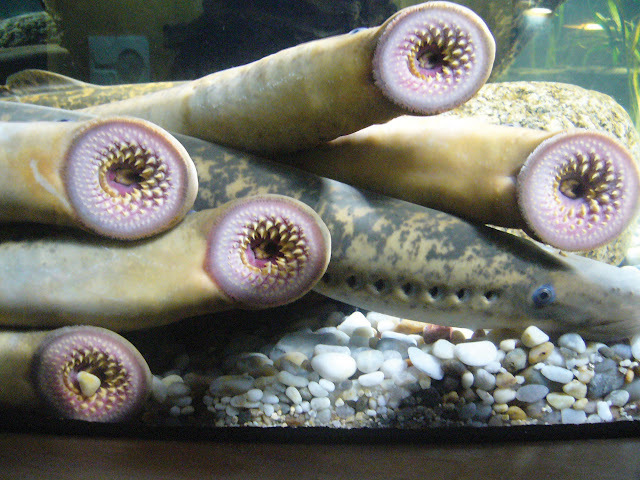 I suspect that these are Lampreys. 7. My first thought was Joseph, but the second thought seems to indicate that ole Jesus of Nazareth met some folks approximating that description while everyone else was a'sleepin'. 9. Score one for the Hapsburgs! Take that Saxe-Coburg. 10. 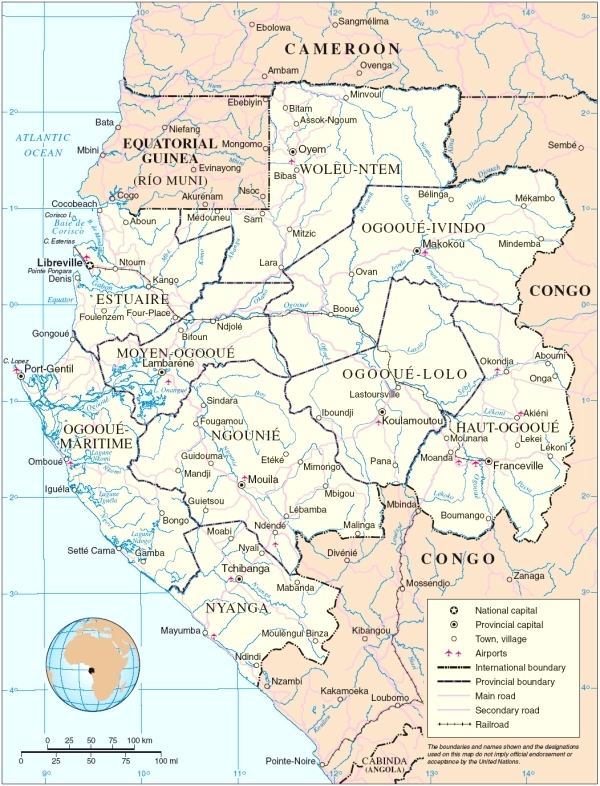 I think that's Gabon, but for some reason I was going to say Guinea. Weird. Hrmm, another good week. I feel like you're playing to my strengths at the moment, Mr 5000. More cricket questions and I'll be unstoppable! Fwahahaa! 7. Without opening up too many theological cans of worms, the correct answer here is Jesus of Nazareth. I don't believe Jehovah ever met Elijah on a mountain per se, and certainly not with Moses along. 10. Gabon. Sounds like some geographer needs to brush up on his Africa. I don't name names.